At Bank of America, we’re guided by a common purpose: to help make financial lives better by connecting clients and communities to the resources they need to be successful. 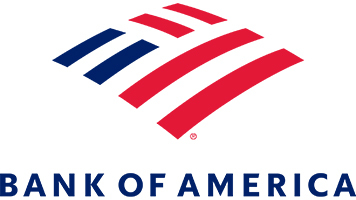 Bank of America’s Experience Design team includes strategic, interaction, visual and motion designers, design program managers, content strategists and design technologists who are constantly iterating, problem solving and collaborating to create digital experiences that will help customers reach their financial goals in more customized, intuitive, innovative, engaging, secure and time-saving ways. Work on Erica, Bank of America’s conversational commerce platform. Erica is an AI-powered, voice/text digital assistant and the hub of our omni-channel conversational commerce strategy. We’re looking for talented writers who can craft simple, friendly (human) copy with perfect grammar and brand flair. Writers who can make it feel like even complex financial tasks can be easy…and maybe even a little fun. You’ll deliver detailed content matrices under tight deadlines, support your teammates with peer review/editing and actively grow our content style guide and content inventories (voice, tone, lexicon, etc.). This is a great opportunity to work on an important mission with a fun, smart, collaborative group. • 5+ years of writing/editing experience. • An outstanding portfolio that exemplifies excellence. • Conversational UI experience such as chat, AI or VRU. • Other short-form experience; mobile apps, social media, marketing. • Flawless grammar and syntax. • Expert knowledge of writing style guides (like Chicago or AP), industry standards and best practices. • Strong proficiency in (and no fear of) Microsoft Excel. • Thinks beyond individual design requirements and implementation details to consider how your work ties to the total project ecosystem and platform strategy. • Is an enthusiastic, highly motivated self-starter with a strong work ethic and an intense focus on achieving results. • Collaborates and builds trust with design, product and tech partners through Agile launch. • Actively participates in design meetings and critiques, sharing your work and gracefully adapting to feedback. • Owns your schedule and delivers on time. • Is available to travel occasionally. • Bachelor’s degree in a writing-related discipline. • Financial or similar industry experience. • Scriptwriting and/or dialog experience for other media such as TV/cinema/radio. • Mastery of human-centered design methodologies and rapid ideation processes such as Lean XD and Design Sprints. • Is committed to building a workplace where every employee is welcomed and given the support and resources to build and advance their careers. Along with taking care of our clients we want to be a great place for people to work and we strive to create an environment where all employees have the opportunity to achieve their goals.